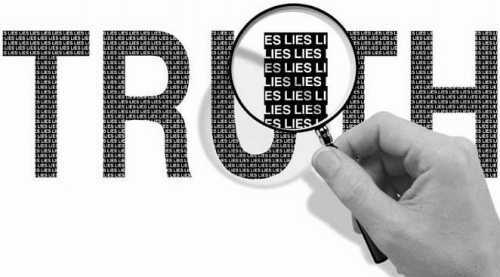 Truth lies in lies and lies lie in truth, so in the climate fiasco, what is the truth, which the lies? Perhaps the truth even lies in ruins, but in searching we can get lucky and stumble on it. Our quite new Chief Science Advisor, Professor Sir Peter Gluckman, addresses scepticism towards global warming. But he stumbles badly while confirming that the rot that masquerades as public climate science now infiltrates the very top of our national scientific hierarchy. Talk about confusing the public. What chance is there for the man in the street to keep a clear head when even our top scientist gives the impression the world is about to end? Gluckman doesn’t use those words, but he aligns himself inflexibly with those who do. In a widely-publicised speech at the Victoria University of Wellington on 9 June (312KB), arranged as part of the Institute of Political Studies series on Key Policy Challenges Facing New Zealand, he addressed the topic Integrity in Science: Implications from and for the Climate Change Debate. Sir Peter is one of our truly top-drawer scientists, famous for his world-leading work in paediatrics and endocrinology. Scores of our top researchers, from scientists with decades of experience to fresh new PhD candidates, beaver away earnestly in the Liggins Institute which he established a decade ago. He’s the sort of man people instinctively trust and turn to for guidance; public officials and financiers happily entrust millions of dollars to him to spend on cutting-edge medical research. His knowledge is extensive and his judgement what most people would call flawless. We ought not to criticise him lightly. But in this noteworthy speech, he muddies the waters of “debate”, insults those who question the science, wrongly characterises the global warming situation and shamefully, in supporting carbon “trading”, supports those who seek their fortune in the murky, uncontrollable carbon schemes. Though he raises the topic of climate scepticism he addresses only some insubstantial sceptical issues, virtually ignoring the very things they are sceptical of (which are the scientific observations and theories), concentrating instead, like the ad hominem-riddled warmist rabble, on the sceptics themselves, as though they all share the same faults and motives. Such active rejection of the scientific consensus has also been seen in other controversies, including the causal relationship between tobacco smoking and lung cancer, the alleged but non‐existent relationship between measles immunisation and autism, and in the denial of the causative relationship between the HIV virus and AIDS. We thank him for leaving out creationism. God alone knows why people accuse climate sceptics of denying evolution. He never touches on the real concerns of scientific sceptics regarding quality problems with climate observations and the AGW hypothesis itself, nor does he describe the evidence that humanity is dangerously changing the climate. Not that one expects revelations in even a landmark speech, but surely a summary of the evidence wouldn’t have been too much to ask for. However, in accusing innocent questioners of possessing any motive but honest inquiry, he departs from the scientific principles and, indeed, courtesy, we so admire in his professional life. But suffice to say that I accept the weight of evidence that anthropogenic climate change is real and at some time in the not too distant future there will be significant impacts. This is the consensus view reached by every credible scientific body that has examined the question. How mildly he frames this appalling prophecy! Significant impacts? Is that the worst he can conjure? How distant that stands from the shrill clamour of violent repercussions shouted at us for twenty years. What about “the end of our way of life” or even “the end of life on Earth as we know it”? What happened to those dire scenarios? If he intends to speak so mildly, is it because he doesn’t realise that some people really do fear for the lives of their grandchildren? Doesn’t he know that those compelling predictions of catastrophe are the only reason that millions of people are seriously considering the dismantling of their economic system in order to prevent them? What else could make them consider such a self-destructive prospect? Why, Dr Gluckman, do you so understate the effects of global warming? Is it, perhaps, because you don’t believe them? Going through his speech from the beginning, we encounter the following. I will be analysing matters that have engendered heat from multiple quarters and where intense, and not always polite, debate is ongoing. It is not my intention to exacerbate that heat, rather to explore why it exists and understand its implications for the public understanding of science and policy formation. Only then can the public understand what is happening. His equanimity in the face of the scepticism that, it becomes clear, is extremely distasteful to him is admirable. However, although it’s not yet obvious, he will search for reasons for “that heat” only in those who disagree with him and with the AGW discourse. Ironically, the one area that remains safe from his “exhaustive” search for these reasons is global warming science itself – which the sceptics he’s talking about find unsatisfactory. Because the thought never occurs to him that the hypothesis and so-called “evidence” of global warming might themselves raise questions in the thoughtful mind. Which betrays a surprisingly unscientific cast of mind. Thus do he and his interlocutors address separate issues, cunningly separated on tracks that cannot meet. Sceptics cannot imagine he ignores the science; he cannot imagine sceptics know the science. But at some point a sceptic will get close enough to ask him a direct question. What will happen? … an iterative process of observation, experimentation and concept formation whose purpose is to understand the natural world. There are adjuncts such as discipline and peer review required to distinguish science from gossip or superstition, but that is true and those three are essential. Yet, oddly, he prefixes the definition with “in modern times”, though a definition for one period would be indistinguishable from that for any other. For if the character of science had any temporal quality, what of the truth? The notion is irrational. If science were to change in order to conform to fashion, academic fad, political whimsy or correctness, or anything else that changes, it would betray the very essence of truth: that it is immutable. “the production of convincing knowledge in modern society”. The key word in this definition is “process” – science is not just about facts, it is the process by which the validity or otherwise of knowledge about the natural world and the universe is established – that is becomes convincing. But what he says is the key word in this definition is not there. You will search in vain for the word “process”. I guess our CSA correctly assumes that “production” requires a process of some kind, but he chooses an odd way to express it – asserting that a word is present which plainly is not. If Sir Peter’s speech can be criticised for stumbling over one or more truths, it should not obscure the fact that he stumbles on another. For we are greatly heartened to hear our Chief Science Adviser acknowledge that, far from the science being “settled” on climate change, there actually is a Climate Change Debate, as he confirms in the title of his speech. The title, ladies and gentlemen, the very title! The leading scientists at NIWA and those serving on the NZ Climate Committee of the Royal Society surely will have taken notice of these comments from a respected source that a debate is under way so we’re confident they will avoid repeating the mistaken idea that, in regard to the climate system, “the science is settled”. We look forward, in due course, to the Royal Society’s invitation to Sir Peter to participate in the debate. This is already a long post, but there’s a lot more to say, so I’ll add posts about the speech as time allows – I still must earn a crust. Amazongate has now resurfaced, and we now know that the WWF claims in the IPCC report have no basis other than a defunct Brazilian propaganda website. Prof Gluckman seems slightly out of touch with reality if these train wrecks are happening and he is still comparing us with Aids deniers. Yes, well, I can understand where you’re coming from, Andy, but actually I admire Peter Gluckman. He’s a fine internationally-renowned medical scientist with an impeccable record. In his position as CSA he’s bound to take advice on the subjects beyond his expertise, and he’s not responsible for the takeover of the Royal Society and NIWA by climate activists. Nor can he be expected to take up a separate line of scientific investigation just because he has no knowledge of the field. He won’t be doing the same in, say, astronomy! It’s up to independent, objective voices such as ours to carry information to him refuting the IPCC and other climate alarmists. A little arrogance can I think be excused in high achievers such as Gluckman. It is in the admission of ignorance and the admission of uncertainty that there is a hope for the continuous motion of human beings in some direction that doesn’t get confined, permanently blocked, as it has so many times before in various periods in the history of man.